You want to talk about bad timing? 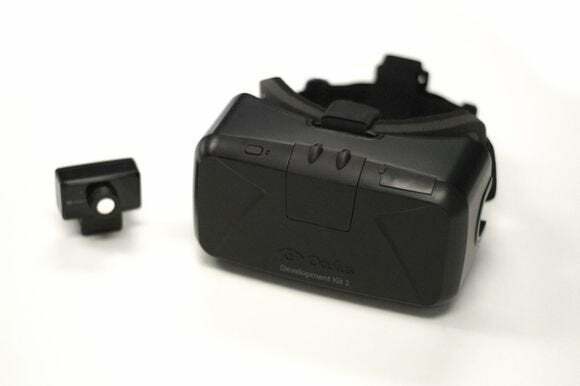 I was writing up this hands-on with the new Oculus Dev Kit 2 last week, but then somebody bought somebody and the entire world imploded and riots formed in the streets and angry Facebook-hating people started canceling their Dev Kit 2 preorders. Were you one of those people? Well then this story probably holds no interest for you. If, however, you are still interested in Oculus and EVE: Valkyrie, here's a rundown of what I saw at GDC this year. After trying out EVE: Valkyrie on Dev Kit 2, I had one very simple question for Oculus VP of Product Nate Mitchell: "What's the difference between DK2 and Crystal Cove?" Minus the white dots on the front of the Crystal Cove prototype, nothing about DK2 stands out as different. 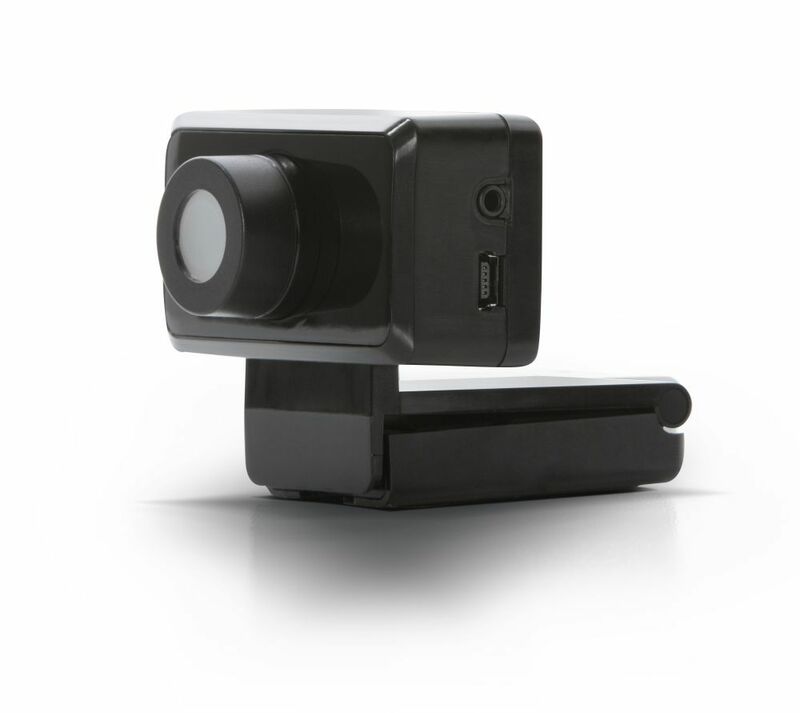 The important DK2 features—a low-persistence OLED screen, which helps reduce motion blur and judder, and a camera to track positional movement in addition to DK1's head-tracking—were initially introduced in Crystal Cove. Except for the lack of white dots, DK2 (pictured at the top of the article) and Crystal Cove are "very similar." But it's not all identical. "They're very similar," said Mitchell. "The biggest changes are in software. We've drastically improved the tracking. It's really improved a lot. Filtering, sensor fusion—it's gotten tighter across the board. A lot of it's just the overall experience coming together more. "The other major change is we've got our custom cable," Mitchell continued. "We got rid of the control box, powered [the Rift] over USB, and we've added a USB accessory hub on the headset along with a power jack for that same hub, so you can actually plug an external camera into the headset and if it needs power you can plug that in. It's designed for hackers and developers to do cool stuff." So that's the headset. The pack-in position-tracking camera has also changed a bit, insofar as it's now Oculus from top-to-bottom. 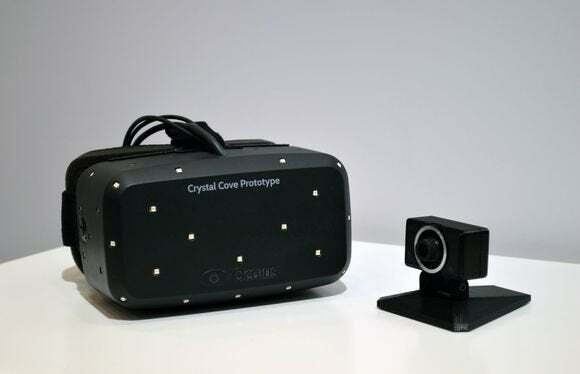 "We were using an off-the-shelf camera, but this camera is Oculus VR," said Mitchell. The camera included with DK2 is Oculus from top-to-bottom. What we saw at GDC is what you'll receive in the mail later this year, provided you preordered a unit. Mitchell guarantees that DK2 is DK2, now and forever—nothing will change between now and the first shipments in July, though he did say that the Consumer Rift will be "another leap forward." And maybe I shouldn't have been so surprised by last week's Facebook acquisition of Oculus, after Mitchell told me the $350 pricing on DK2 was "super aggressive." "This dev kit does cost more [to produce] than the last dev kit...substantially," said Mitchell, "And we tried to stay as low as we possibly could to get as many people as possible involved. If you want to mess with Oculus Rift development, you can." As I said after the D.I.C.E. 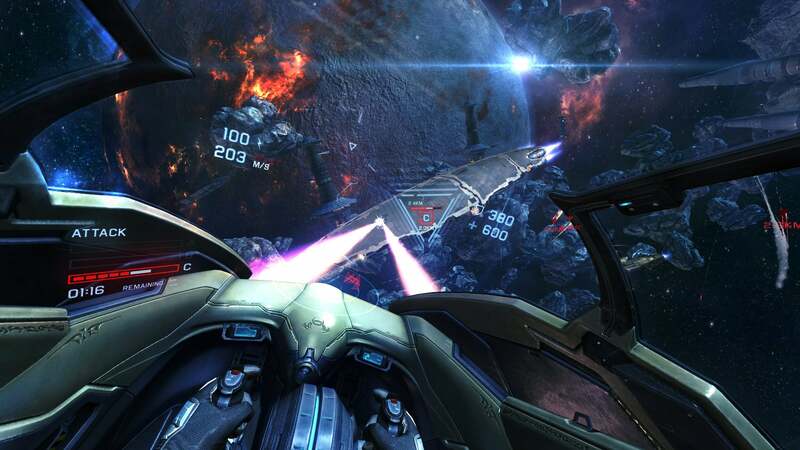 Summit in February, EVE: Valkyrie has become an interesting baseline for all things Oculus. I've played Valkyrie on everything from the original Dev Kit to the 1080p HD Oculus, Crystal Cove, and now DK2. Like reference audio for headphones, the easiest way for me to sense Oculus changes is to sit down and play Valkyrie on the new hardware. This time around? Nothing mind-blowing, since Crystal Cove and DK2 are fairly similar. The position-tracking was a bit tighter, but you'd be hard-pressed to notice the difference if you weren't looking for it. Of greater note was what CCP showed me behind closed doors—new ships. Since E3 last year, every build of EVE: Valkyrie has been functionally identical: Launch your ship, dogfight, explode, launch a new ship, dogfight, explode, and repeat ad nauseam until time expires. This time around it went launch your ship, dogfight, explode, choose what type of ship to launch next, launch again, and on until the round ended. It's a small change—in addition to the baseline fighter, CCP has added bomber- and recon-type spacecrafts. The bomber is slow but powerful, the recon ship maneuverable but fragile. The new ships are nothing huge as far as multiplayer games go—different builds for different players?—but it's a welcome addition to the game considering that previous updates primarily enhanced the graphics or took advantage of new Oculus tech (like the positional tracking). 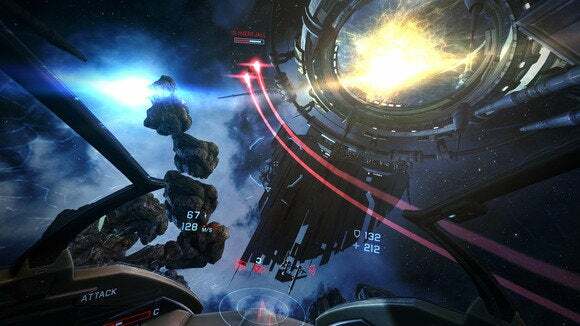 It's nice to see EVE: Valkyrie becoming more of a game instead of a tech demo. If that's not enough EVE: Valkyrie news for you, get ready for next month. No doubt CCP has some big announcements planned for its annual EVE Fanfest conference in May, which is where EVE: Valkyrie debuted last year (titled EVE: VR at the time).